Although the bulk of Arkansas rice is produced in the forty counties on the opposite side of the state from where I live, I enjoy sharing information about rice production. 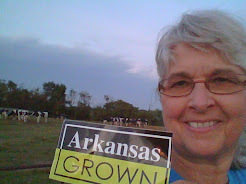 Many consumers do not realize that Arkansas is the number one producer of rice in the United States. 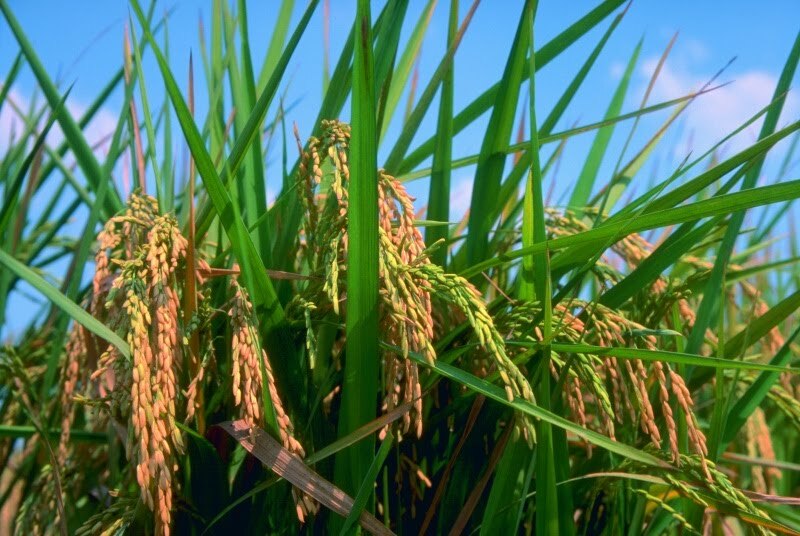 In 2009 forty five percent of all rice in the United States was produced in Arkansas. One of the rewarding benefits of volunteering for Farm Bureau and promoting agriculture is seeing young people learn and develop skills through promotion activities. Since 1961 the Miss Arkansas Rice contest has been used as a fun and competitive activity to promote rice. 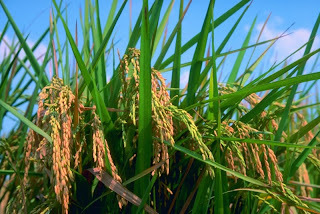 From June to November, contestants fill their schedules with activities promoting rice. At the final contest in November, they will be judged on their rice recipe, an oral presentation,individual interview, and their promotion activities. You can find more information about the contest at http://www.arfb.com/programs&activities and actually view the list of reigning Miss Arkansas Rice-Lydia Homes promotion activities. As National Rice Month and September are coming to an end, I wanted to share the rice recipe from the 2005 Miss Arkansas Rice,our very own Miss Benton County Rice-Jillian Harper. Thanks to every contestant for the great job of promoting rice and Arkansas agriculture!! Wouldn't it be fun to know the names of each winning recipe for the last 48 years? from heat and sprinkle with cheese. Serve hot as entre, a chili with Fritos or a wrap. with 2 Tbs. of vegetable oil in skillet to brown meat. Dairy farmers don't talk much about being "green" or "sustainable" because we have been practicing environmental stewardship every day for generations. Protecting the land,water and air on the farm is what I consider insurance for the continuation of our family farm for future generations. The environmental impact and profitability of small or large farms is improved with the efficient use of natural resources. Since 1985 our farm has been permitted by the Arkansas Department of Environmental Quality. This permit allowed us to build holding areas for liquid and dry manure and use the nutrients to fertilize the soil under the guidance of certified nutrient management plans. Nutrient management plans are developed using sound science and designed by professioinal environmental engineers working with the Natural Resources Conservation Service. Proper handling and use of manure aids in fertilization of the soil, conserves water and protects air quality. 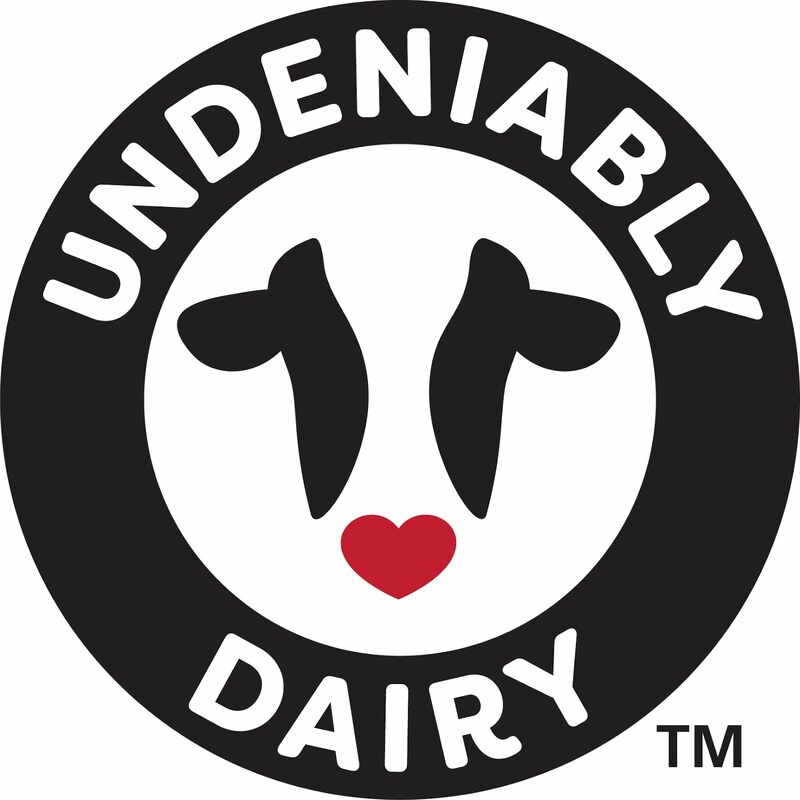 As I was listening to the staff member from the Environmental Protection Agency talk to dairy and poultry farmers this week in Northwest Arkansas, I thought about how we work every day to live the dairy industry's definition of sustainability--"providing consumers with the nutritious dairy products they want in a way that makes the industry,people and the earth economically,environmentally, and socially better--now and for future generations." You can find more information about how dairy farmers care for the environment at http://www.dairyfarmingtoday.org/. Sharing information about how we care for our animals and the environment is an added feature of my sustainability insurance policy! Drain peaches,reserve juice. Cut peaches into chunks;set aside. heat over medium heat until liquid is absorbed. Add 3/4 cup milk,continue cooking until thick and creamy. Add brown sugar and cinnamon; stir until combined. Fold in peaches. Serve hot. Have you ever heard of a bovine podiatrist? On our farm, we call this specialist a hoof trimmer. Yesterday was hoof trimming day. Ben, our hoof trimmer, comes to the farm once a month to trim and care for the hooves of our dairy cows. Hoof problems lead to lameness which can cause suffering,decrease milk production,and may lead to culling from the herd. Ben arrived with his portable tilt table and all the right tools as we began the morning milking. As cows left the milk barn, we moved those that needed hoof care into a special corral joining the hoof trimming area. From the corral, the cow is walked to the tilt table with the hydraulic layover chute allowing the cow to be place in a horizontal postion. This special table allows Ben to work on each hoof individually without causing stress and injury to the cow. Ben works as a skilled artist to shape the hoof to provide the optimal weight bearing surface. As I watched Ben working skillfully and diligently with his hoof trimming tools, I felt very grateful for all the professionals that assist us in providing care for our dairy cows. Happy Labor Day to all of you who labor for the love of agriculture!